As the population grows larger and the need for energy becomes more prominent the question of how to produce lasting, green renewable energy looms over scientists and the general population alike. The industrial revolutions brought us first coal and then petrol. - ground-breaking sources of energy that coud power trains and cars. However, as time progressed these resources started to wear thin and the impact they had on the planet started to rear its ugly head. The call for new and renewable energy was imminent, leading the 21st century into a clean, resourceful era. In this article, PIF will discuss different types of renewable energy sources, including wind turbine renewable energy and hydropower. Hydropower accounts for over 16% of the world’s net electricity production and more than 65% of the global power generation from renewable sources. It is the most widespread and commonly used renewable power source, with the global hydroelectric installed capacity exceeding 1,000GW. China currently hosts the largest hydropower plant and has the biggest hydroelectric generation capacity in the world. In 2012, China was responsible for over 50% of the total hydroelectric power contribution globally. Brazil, the US, Canada and Russia are also home to large hydropower plants. Commonly, hydropower generation works by building dams on rivers and releasing water from a reservoir to drive turbines. 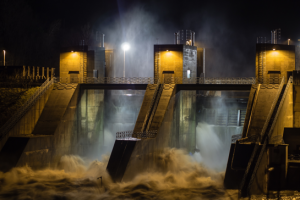 In recent years, hydropower has come under some scrutiny due to the environmental and social impacts related to biodiversity loss and human relocation. Wind turbine renewable energy is one of the fastest growing renewable power sources with a cumulative annual growth rate of 25% in the past 5 years. Once again, China dominates, with the largest wind power generator in the world. The US is a close second. 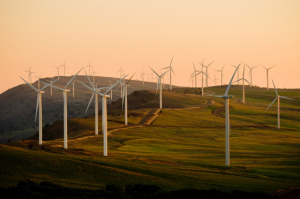 Many other countries such as Germany, Spain, India, the UK, Italy, France, Canada and Portugal are major contributors to wind power and, together with China and the US, these countries account for more than 85% of total wind turbine renewable energy produced in the world. Wind turbine renewable energy is generated when wind passes through a wind turbine and rotates the blades of the turbine. This then provides the power to feed electric generators. Wind power is renewable, plentiful, clean, produces no greenhouse gases during operation, consumes no water and takes up little land. Due to these factors, it can be considered as a very green renewable energy. However, some disadvantages of wind power include noise and aesthetic pollution, as well as a threat to wildlife, specifically birds. Solar power, as we all know, is the conversion of energy from sunlight into electricity. This is carried out using solar panels on a photovoltaics (PV) or concentrated solar power (CSP) system. 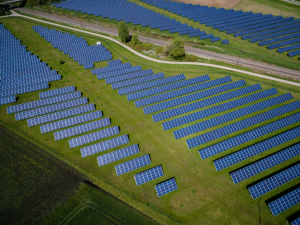 Germany, Italy, China, the US and Japan hold the biggest solar PV capacity in the world, while Spain is home to more than 75% of the global CSP capacity. Solar power is available in abundance. It is renewable, sustainable, low maintenance and brings down electricity costs. However, it is expensive to build solar farms and store the subsequent energy. They can be intermittent, take up space and are associated with producing some of the most potent greenhouse gases. Biomass is an interesting concept that uses waste materials to generate power. Modern biomass, such as biofuels and wood pellets, are increasingly being used to generate heat and power alongside traditional biomass sources, such as agricultural bi-products. GDF SUEZ’s Green Unit biomass plant at Polaniec, Poland is the world’s biggest 100% biomass fuelled power plant. However, countries such as the US, Brazil, China, Germany and Sweden are currently the leading bio-power generators. Biomass works in two ways; directly via combustion to produce heat, or indirectly after converting it to various forms of biofuel. 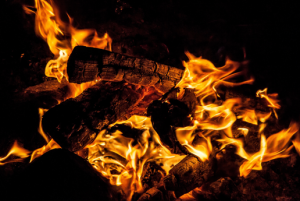 Although biomass is renewable, widely available, versatile and helps reduce waste, the burning process releases carbon emissions. It is also expensive, requires a lot of space and can lead to deforestation. There are also issues with biomass being inefficient as a fuel source. It can be seen from the above green renewable energy sources that we are well on our way to producing clean, efficient and renewable energy. There are pros and cons for each type of renewable energy source and over time these will slowly be ironed out to create pure renewable energy. If you would like to learn more about green renewable energy click here to view the top 10 renewable energy facts or visit our energy and renewables page.